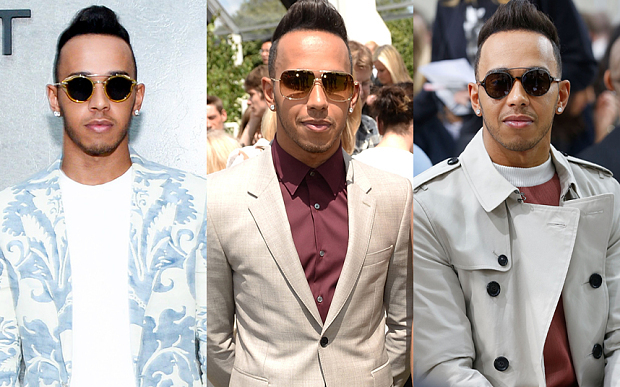 Lewis Carl Davidson Hamilton, born on the 7th of January 1985 in Stevenage in the United Kingdom, is a british racer. He is the 2008, 2014 & 2015 World Champion of Formula 1. In December 1995, at the age of ten, he approached McLaren team principal Ron Dennis at the Autosport Awards ceremony and told him, "I want to race for you one day ... I want to race for McLaren." Less than three years later, McLaren and Mercedes-Benz signed him to their Young Driver Support Program. After few years in GP2, Hamilton's contract for the McLaren driver development program made him the youngest ever driver to secure a contract which later resulted in a Formula 1 drive. It is the first black driver in Formula 1. In 2015, he became ​the first British driver in history to win consecutive F1 titles, and the second Brit to win three titles after Jackie Stewart. He is the only driver in the history of the sport to have won at least one race in each season he has competed to date, with McLaren from 2007 until 2012, and with Mercedes since 2013. He has more race victories than any other ​British driver in the history of Formula 1. His dog has its own accreditation for all the Grand-Prix races. Lewis never moves on circuits without his dog Roscoe ! He want to be at the top of the trend, and he loves tattoos. See you soon on our social networks for more GP related information.